A new bio-based oil, tea oil (TO), was studied as possible alternative processing oil to the commonly used but potentially carcinogenic petroleum-based oils, viz. heavy naphthenic oil (HNO) and light naphthenic oil (LNO). Comparison was also made with two other bio-based oils, palm oil (PO) and coconut oil (CO). 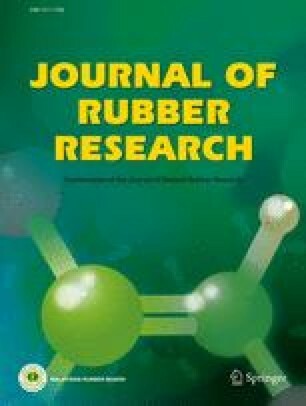 The results revealed that all bio-based oils studied exhibit higher thermal stability than LNO and, in the case of silica-filled natural rubber (NR), provide superior processing properties over the petroleum-based oils. These include higher thermal stability, greater mixing efficiency of NR with silica, improved silica dispersion in NR compound and greater plasticising effect for silica-filled NR compounds when compared under similar mixing condition. For cure characteristics of the rubber compounds, they are not significantly affected by the processing oil type and content. The results show the potential of the bio-based oils studied, TO, PO and CO, as possible alternative processing oils to replace petroleum-based oils.